One of my favourite ways to entertain myself on limited funds (as I’m not working while I finish up my thesis, these are even more limited than usual) is to go on, what I like to call, a Sydney Adventure. Basically this just involves spending time checking out various suburbs, usually involving food. This is particularly fun if you don’t ordinarily spend a lot of time there. I must admit, I am biased when it comes to my own suburb. I love wandering around Marrickville, and could spend hours doing so. Particularly if I allow myself to stop for food and/or coffee along the way. Today I had an even more legitimate reason for doing so, when my friend Miss A. said she was coming to Marrickville. Obviously I needed to take her to my favourite Vietnamese restaurant (anywhere, not just Marrickville – a huge call, I know!) Old Thanh Huong. There are many reasons why this restaurant is amazing, not least of which the variety on the menu. This menu is literally one of the largest I’ve ever seen, easily running 15 pages. 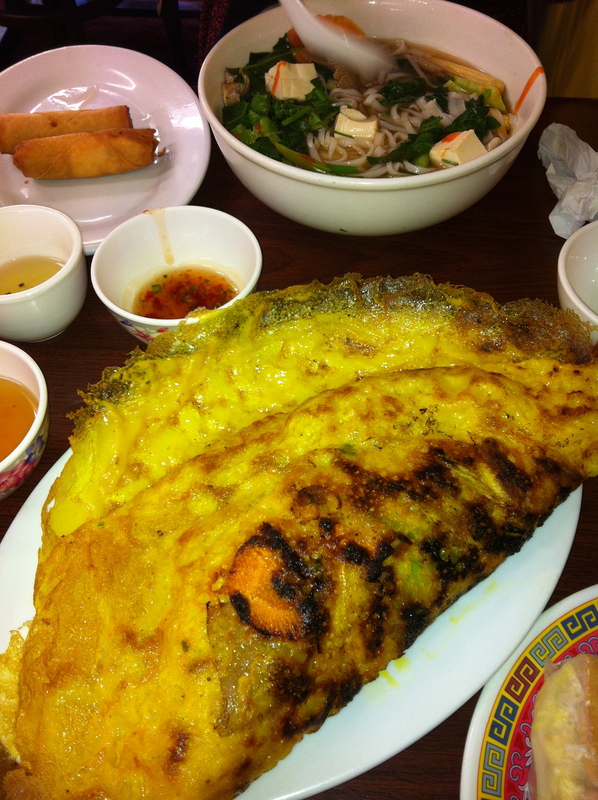 And it is not just Vietnamese food here, they also do a full range of Thai and Chinese dishes too. If you have ever dreamed of eating Emu or Crocodile in your favourite Asian dish, this is the place for you! On weekends it is always packed, and Friday and Saturday nights you are likely to have to wait outside for a table. We went with some of my personal faves including the vegetarian rice paper rolls, Vietnamese pancake, vegetable and tofu pho and veggie spring rolls. As usual, it did not disappoint and we both left groaning under the strain of our bulging bellies, and having to adjust our pants (in the best possible way!). 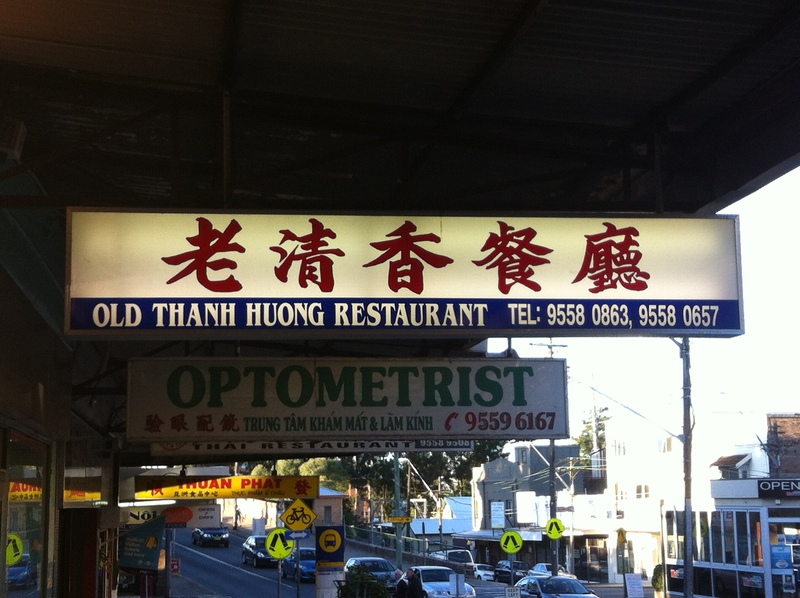 If you want to try the deliciousness for yourself, Old Thanh Huong is at 356 Illawarra Rd, Marrickville. Ph: 9558 0863.